year span. It provides Local 2881 Firefighters an increase above minimum wage and provides incremental increases of between 14% and 18% over the 4 ½ year period based on position classifications. The agreement still must be approved by the State Legislature and ratified by the Local 2881 members. Because we are still determining the future year cost impacts, we don’t have estimates now for subsequent years but we know increases are included with the new labor agreement. Cal Fire has stated they will not impose any fees on the residents of Julian and Lake Cuyamaca for their fire services. That is true, in the sense that “Cal Fire” will not be the ones imposing the fees. San Diego County Fire Authority is not a fire department so they contract with Cal Fire to provide fire services. Therefore, San Diego County will be the ones charging us for fire services. And, although, the fees might not be imposed on our community immediately, you can bet there will be fees! We are not going to get fire services gratis indefinitely. The fact of the matter is we don’t have any idea when the fees will start or exactly how much the fees will be. SDCFA will not tell us and they are refusing to include this information in the contract with JCFPD. Can you imagine signing a contract to purchase a vehicle without knowing how much you are agreeing to pay for this vehicle? No! Nobody in their right mind would do that. There is only one reason why they are refusing to address this issue. They don’t want you to know! We were told by a representative of Cal Fire in Sacramento that San Diego County will be following the Riverside County Plan (which we were told is actually the plan for the entire state). The residents of Riverside county are currently paying $400.00 annually plus an additional $390.00 per hour per fire apparatus if they access 911. We can assume, this is what we will be paying. After all, we were told this is the plan for the entire state of California. JCFPD currently collects $50.00 for fire fees (this fee has not been raised since 1984). In order to keep our fire department running up to current industry standards, JCFPD is proposing an increase of $150.00 for a total of $200.00 ($16.67 per month). This will pay for the inclusion of two paid, full-time firefighters, one of which will also be a paramedic. We will have coverage with paid firefighters in our community 24 hours a day, 7 days a week. Plus, we will have all our volunteers. This will actually bring us ABOVE industry standards and ABOVE what SDCFA is offering! Costs for SDCFA- $450.00 minimum (annual fee of $400.00 plus the $50.00 you are already paying for fire services which will get rolled over to SDCFA) plus $390.00 per hour per fire unit for usage fees. 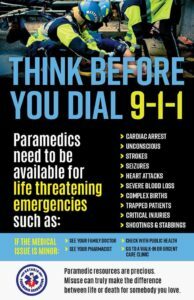 The absolute minimum cost (on TOP of the $450.00 annual fee) for one emergency call would be $390.00 (one hour) – again, this is the minimum. If, for example, you had a house fire, the total would be much, much more! A typical house fire might take five hours and would require multiple units (additional engines, support vehicles, etc.) – each unit charging $390.00 per hour. You do the math! Remaining Independent = annual fee of $200.00 with no additional usage fee. Proposition QQ has a “reduced-cost” provision for low-income households. The county does not offer any such allowance for low-income families. There is also a provision written in this initiative to discontinue the fee if JCFPD is ever dissolved. The last fire fee in 1984 had no provision for this so you will be required to pay the $50.00 if Proposition QQ does not pass, even if another fire agency takes over our fire services. The county can increase fees if and when they deem it necessary. And, because it is a “fee” and not a “tax” you will not get a say in this. The additional $390.00 per hour usage fee was just recently imposed on residents in Riverside County to augment the annual $400.00 fee. Cal Fire stated they could no longer provide services within the old budget. There are agencies all across California (Calimesa, San Jacinto, Canyon Lake) that contracted with Cal Fire that are currently trying to get out of their contract because the cost of Cal Fire is going through the roof. How much and how often will fees increase? Cal Fire has recently admitted publically that the cost of their fire service are continuing to rise so there is no telling! If we remain independent and JCFPD wants to raise the fees for the department it must go to the vote of the people (like we are doing this November with Proposition QQ). You will have a say! 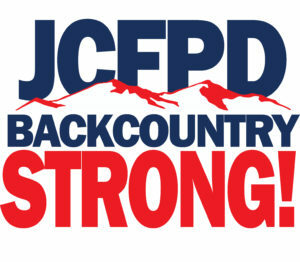 If we remain independent, we would continue to have two fire agencies in our community – Cal Fire and JCFPD. Cal Fire would still be here and they would continue to be responsible for wildfires. JCFPD would also be here and they would continue to be responsible for structure fires, traffic collisions and medical aids. The two agencies would continue to work cooperatively, side by side just as they have since the inception of JCFPD. And when Cal Fire is called off the hill, JCFPD will still be here, but now as your only line of defense, for wildfires. Remaining independent means there are more firefighters here in Julian/Cuyamaca, not less. Getting rid of JCFPD drastically reduces both the number of fire engines (and other fire apparatus) and the number of firefighters in our community. If the county takes over, we lose all the volunteers (historically, there has been five volunteers on duty per day that respond with multiple vehicles – brush truck, fire truck, rescue unit, water tender, etc.). Under SDCFA/Cal Fire, all of our volunteers and all our equipment would be replaced with a single engine and two firefighters. SDCFA (a minimum of $450.00) = no daily direct supervision of staff, no administrative support, two firefighters (that can leave our community to go to wildfires or to cover a more densely populated community). You will have no input on where your money goes. This would be decided by the County. *A fire engine and two firefighters do not make a fire department! Keeping JCFPD ($200.00) = a full-time fire chief, administrative support, a fire board, historically five volunteers per day, numerous fire vehicles, plus two paid firefighters (that will remain in our community 24-hours per day, 7 days a week). Plus, you will have a say in how things are run. *This is a fire department! When there are wildfires in the surrounding areas or when there are big wildfires elsewhere in California, Cal Fire is likely to leave our community to go to where the fires are. Fresh in our minds are two large fires in Julian – the 2003 (Cedar Fire) and 2007 (Witch Fire) in which our volunteers were the only ones left here to protect us and our property. So far, this fire season, during the Pala Fire (in June), the Cinnamon Fire (in July) and the San Pasqual Fire (in August), Cal Fire was gone. Without our volunteer fire department, you will have no fire protection at all when Cal Fire is off the hill. You will be on your own! Almost all of the fire agencies we have spoken to that have been absorbed by or that have contracted with SDCFA have been very dissatisfied with the level of service they are receiving. Fire stations in these communities have been left unstaffed/dark (anywhere from 1 to 27 days of the month) or have been significantly understaffed (less than two trained firefighters on duty). Last year in Shelter Valley there was a house fire. The personnel Cal Fire placed at the station that day was not trained to drive a fire engine. So, wanting to do something to help, one of the firefighters decided to run to the fire with a fire extinguisher. As you can probably guess, this did nothing to suppress the fire. The house burned to the ground and the residents suffered bodily injuries. 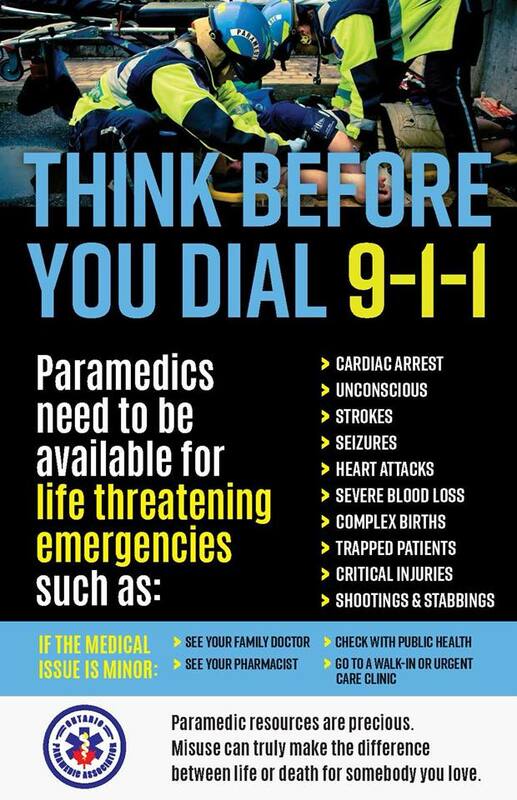 In a true emergency, minutes can mean the difference between life and death or whether your home is saved or burnt to the ground. Most of the contracted Cal Fire staff that are stationed here in Julian/Cuyamaca are unfamiliar with the area and have had difficulties finding addresses. Additionally, their fire engines are not equipped to get up the steep, tight driveways many of our homes have. Our volunteers know the area well and the fire engine purchased for JCFPD was specifically designed to be driven in our unique mountain terrain. Our local volunteers are your neighbors, friends and/or family. They are accustomed to driving in dense fog, snow and ice and they know how to find you! If SDCFA takes over our fire department, the decisions that affect our community will be made some 60 plus miles away and you will have no say in what transpires. If our community is unhappy with these decisions, we have absolutely no recourse. Remain independent and we, the citizens, maintain oversight of our fire services. Unlike San Miguel (who wisely wrote a contingency plan in their agreement with SDCFA), we cannot take our fire department back (like San Miguel did because of increasing costs and poor service from Cal Fire) or contract out to another agency. In the “negotiations”, our fire board turned everything over to the county (our money, our fire station, our property in Lake Cuyamaca, our vehicles, our equipment – everything!). Which means once our fire department is gone, it is gone! There IS NO going back! We have no alternative if the county does not live up to their promises. Most communities with SDCFA are extremely dissatisfied and they are absolutely powerless to do anything about it. They have begged and pleaded with SDCFA to live up to their promises to protect their homes and their lives – to no avail! simply google Cal Fire costs/fees, etc. Please, talk to the residents of Ranchita, Shelter Valley, Mount Laguna, Intermountain, Palomar Mountain, San Pasqual, Boulevard, San Miguel, Descanso and Pine Valley and get their input. Below are links for printing your own documents. Click on the sign below to read the QQ INITIATIVE. JCFPD Board meeting May 8, 2018 audio file, use the SHOW MORE underdescription to have access to chapter markers for listening to specific parts if you like. For those who don’t care about ambulance services provided locally, read this and weep. Text from the article that really needs to be understood and disseminated. Here is the kicker, and why residents are afraid that the County will pull out of the fire service. Unlike Los Angeles, or Ventura, or Riverside Counties, San Diego does not have fire protection in the County Charter. While the current Board of Supervisors says it is committed to fire protection, there is no guarantee for a future board. Given the realities of changing priorities at the County, and term limits, nothing will be written in stone.